WWF is one of the most well-known and largest conservation organizations in the world. WWF is a global organization that works locally through a network of more than 90 offices and hundreds of projects in over 100 countries around the world. Its first office was founded in the Swiss town of Morges on 11 September 1961. WWF stands for "World Wildlife Fund". In 1986, WWF changed its name to “World Wildlife Fund For Nature” to better reflect its work field; regardless, the United States and Canada decided to keep the original name. 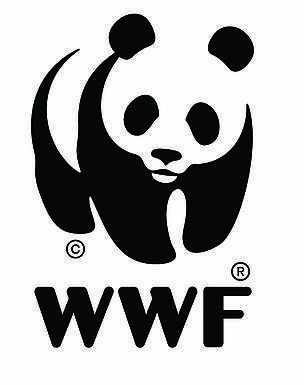 Finally in 2001, the International Network agreed that WWF would be the only name used by all its offices around the world to make it more simple and clear. Who is in charge of WWF? President Emeritus is HRH The Duke of Edinburgh. The Director General of WWF International is Jim Leape. How many people work in WWF? Over 4000 people work in WWF on full time and part time hours all around the world. Who does WWF work with? WWF develops projects in association with international organizations such as the UN, and International Cooperation Agencies including USAID and the World Bank. WWF also works with business and industry partners. How many activists does the WWF network have? 1. WWF has more than 5 million activists. 2. WWF International’s p@ssport is a campaign tool with over 100, 000 activists in over 170 countries who support us in all our campaigns. 3. Since 1985, WWF has invested over US$ 1300 millions in more than 11 000 projects in over 100 countries. 4. On average, WWF runs about 1300 projects simultaneously. How do WWF offices work? 1. National Organization Offices (NO) which are those that can raise funds independently and manage them autonomously. 2. Program Offices (PO) which are those that must work under the direction of one of the independent WWF offices. How popular is WWF’s website (www.panda.org)? According to Google’s measurements, in 2008 www.panda.org was visited by 5 523 009 people from 236 countries, who opened 15 689 659 information templates.